After more than a year of negotiations, Turkey has signed a contract for the construction of a Landing Platform Dock/Light Aircraft Carrier. 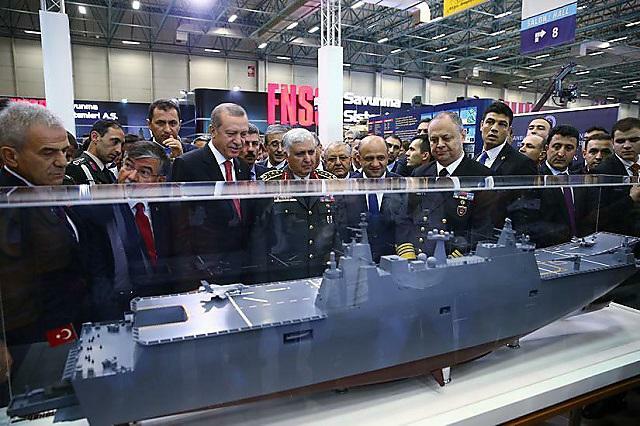 The contract was signed between the Undersecretary of Defense Industries (SSM) and the Turkish shipbuilding company Sedef. The new vessel is going to be a version of the Landing Helicopter Dock Juan Carlos I class, with a sky jump ramp and a front lift so that the Turkish ship can accommodate and operate F-35B Lighting II aircrafts. The selection of the Spanish design was announced on 27 December 2013, while the main contractor is the Turkish shipyard Sedef. Although the Turkish Navy initially wanted a stripped down version of the Landing Helicopter Dock (LHD) Juan Carlos I class, second thoughts led to a change of plans and the new version of the LHD will be able to carry 8-10 F-35B and 12 helicopters. The Turkish ship will be equipped with a sky jump ramp and a front lift in order to accommodate the operation of the short take-off and vertical landing aircrafts. Furthermore the Turkish light aircraft carrier is going to be equipped with several Turkish-made subsystems that will increase the national defense industry value. Complete hospital and sick bay. 1,410m² garage for heavy loads, which can host 29 Main Battle Tanks Amphibious Armed Vehicles and TEU containers. Non-combatant operations: humanitarian aid, evacuation from crisis zones and hospital-ship in catastrophe areas. The will crew consists of 261 personnel: 30 officers, 49 NCOs, 59 leading seamen and 123 ratings. The cost of the construction of the vessel is 1 billion dollars, and the ship is to be be completed by 2021.